Alternate routing concepts like topic and fanout is not available for all transports, please consult the transport comparison table. The simplest way to do routing is to use the task_create_missing_queues setting (on by default). With this setting on, a named queue that’s not already defined in task_queues will be created automatically. This makes it easy to perform simple routing tasks. With this route enabled import feed tasks will be routed to the “feeds” queue, while all other tasks will be routed to the default queue (named “celery” for historical reasons). The task_routes setting can either be a dictionary, or a list of router objects, so in this case we need to specify the setting as a tuple containing a list. The point with this feature is to hide the complex AMQP protocol for users with only basic needs. However – you may still be interested in how these queues are declared. The non-AMQP backends like Redis or SQS don’t support exchanges, so they require the exchange to have the same name as the queue. Using this design ensures it will work for them as well. task_queues is a list of Queue instances. If you don’t set the exchange or exchange type values for a key, these will be taken from the task_default_exchange and task_default_exchange_type settings. If you’re confused about these terms, you should read up on AMQP. In addition to the AMQP Primer below, there’s Rabbits and Warrens, an excellent blog post describing queues and exchanges. There’s also The CloudAMQP tutorial , For users of RabbitMQ the RabbitMQ FAQ could be useful as a source of information. A message consists of headers and a body. Celery uses headers to store the content type of the message and its content encoding. The content type is usually the serialization format used to serialize the message. The body contains the name of the task to execute, the task id (UUID), the arguments to apply it with and some additional meta-data – like the number of retries or an ETA. The client sending messages is typically called a publisher, or a producer, while the entity receiving messages is called a consumer. The broker is the message server, routing messages from producers to consumers. You’re likely to see these terms used a lot in AMQP related material. Messages are sent to exchanges. An exchange routes messages to one or more queues. Several exchange types exists, providing different ways to do routing, or implementing different messaging scenarios. The message waits in the queue until someone consumes it. The message is deleted from the queue when it has been acknowledged. Bind the queue to the exchange. Celery automatically creates the entities necessary for the queues in task_queues to work (except if the queue’s auto_declare setting is set to False). The exchange type defines how the messages are routed through the exchange. The exchange types defined in the standard are direct , topic , fanout and headers . Also non-standard exchange types are available as plug-ins to RabbitMQ, like the last-value-cache plug-in by Michael Bridgen. Direct exchanges match by exact routing keys, so a queue bound by the routing key video only receives messages with that routing key. Topic exchanges matches routing keys using dot-separated words, and the wild-card characters: * (matches a single word), and # (matches zero or more words). With routing keys like usa.news, usa.weather, norway.news, and norway.weather, bindings could be *.news (all news), usa.# (all items in the USA), or usa.weather (all USA weather items). Declares an exchange by name. passive – Passive means the exchange won’t be created, but you can use this to check if the exchange already exists. durable – Durable exchanges are persistent (i.e., they survive a broker restart). auto_delete – This means the queue will be deleted by the broker when there are no more queues using it. Declares a queue by name. Exclusive queues can only be consumed from by the current connection. Exclusive also implies auto_delete . Binds a queue to an exchange with a routing key. Unbound queues won’t receive messages, so this is necessary. Deletes a queue and its binding. Declaring doesn’t necessarily mean “create”. When you declare you assert that the entity exists and that it’s operable. There’s no rule as to whom should initially create the exchange/queue/binding, whether consumer or producer. Usually the first one to need it will be the one to create it. 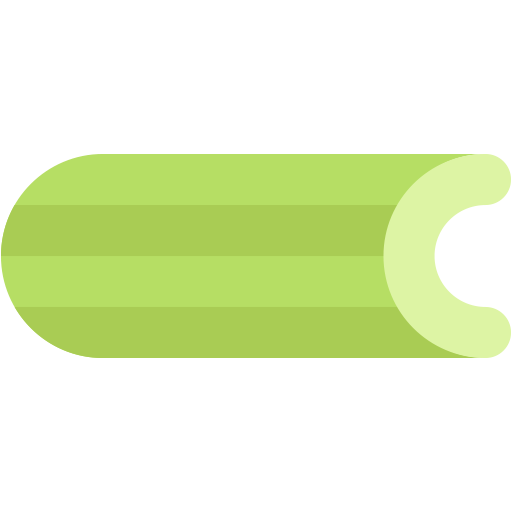 Celery comes with a tool called celery amqp that’s used for command line access to the AMQP API, enabling access to administration tasks like creating/deleting queues and exchanges, purging queues or sending messages. It can also be used for non-AMQP brokers, but different implementation may not implement all commands. Here 1> is the prompt. The number 1, is the number of commands you have executed so far. Type help for a list of commands available. It also supports auto-completion, so you can start typing a command and then hit the tab key to show a list of possible matches. This created the direct exchange testexchange, and a queue named testqueue. The queue is bound to the exchange using the routing key testkey. AMQP uses acknowledgment to signify that a message has been received and processed successfully. If the message hasn’t been acknowledged and consumer channel is closed, the message will be delivered to another consumer. Note the delivery tag listed in the structure above; Within a connection channel, every received message has a unique delivery tag, This tag is used to acknowledge the message. Also note that delivery tags aren’t unique across connections, so in another client the delivery tag 1 might point to a different message than in this channel. In Celery available queues are defined by the task_queues setting. Here, the task_default_queue will be used to route tasks that doesn’t have an explicit route. The default exchange, exchange type, and routing key will be used as the default routing values for tasks, and as the default values for entries in task_queues. The Routers defined in task_routes. The routing arguments to Task.apply_async(). Routing related attributes defined on the Task itself. It’s considered best practice to not hard-code these settings, but rather leave that as configuration options by using Routers; This is the most flexible approach, but sensible defaults can still be set as task attributes. A router is a function that decides the routing options for a task. The routers will then be traversed in order, it will stop at the first router returning a true value, and use that as the final route for the task. The routers will then be visited in turn, and the first to return a value will be chosen. Now the tasks.reload_cache task will be sent to every worker consuming from this queue. Note that Celery result doesn’t define what happens if two tasks have the same task_id. If the same task is distributed to more than one worker, then the state history may not be preserved. It’s a good idea to set the task.ignore_result attribute in this case.